Alert Logic solutions combine cloud-based software and innovative analytics with expert services to assess, detect and block threats to applications and other workloads. ​24×365 monitoring with live notifications of critical alerts. Full protection across the layers of your app & infra stack cloud. API-driven automation for cloud and hybrid environments. ​Alert Logic’s unique combination of Full-Stack Security, Experts Included and Built for cloud and Hybrid come together into an integrated solution to ASSESS, DETECT and BLOCK threats and help you efficiently COMPLY with regulatory requirements. 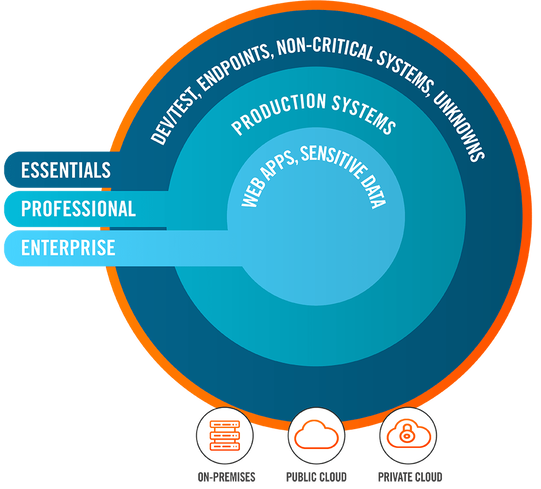 Vulnerability and Asset Visibility with Extended Endpoint Protection. 24/7 Managed Threat Detection and Incident Management. ​Managed Web Application Firewall and Assigned SOC Analyst with Threat Hunting.